Home insurance services are always trying to attract huge customer base by unconventional means. 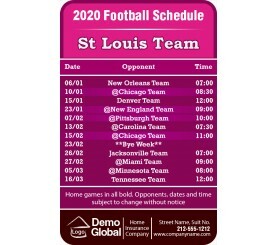 In this NFL season, many of these services have chosen custom 3.5 x 2.25 inch one team St Louis Team football schedule laminate home insurance wallet magnets for gifting. There are two reasons for it – these magnets serve as value-and cost-effective tokens and they easily uproot the existing brand convictions out of viewers. 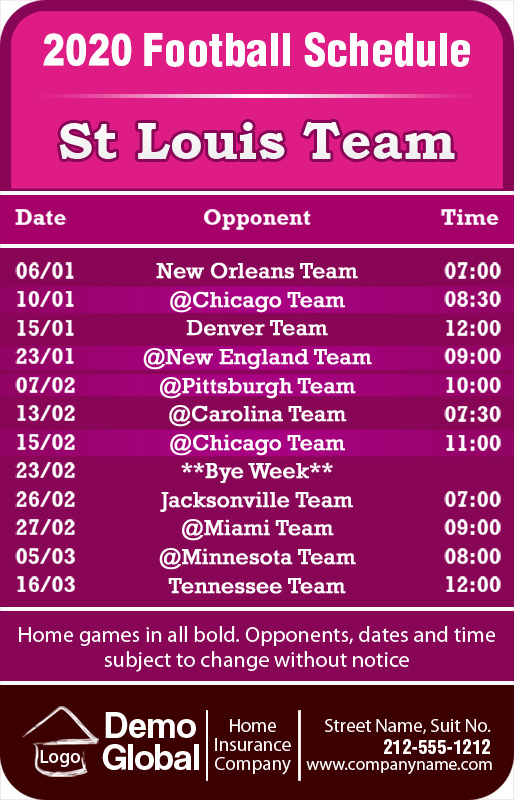 This magnet will keep the people informed and enthusiastic during the NFL season and it will moisten their memories when the season ends.